As the need arises to choose a hospice for your aging elderly, choose a hospice provider that will uphold the best interest of your loved one and one that includes support for your family in getting you through this journey. Because choosing the right provider of Hospice care in Avon Indiana will not only be good for your senior loved one in this delicate time, but for your family’s welfare as well. Patients and their families may have preferred care arrangements and it would be ideal if both home and/or facility hospice care options are offered by the hospice provider. 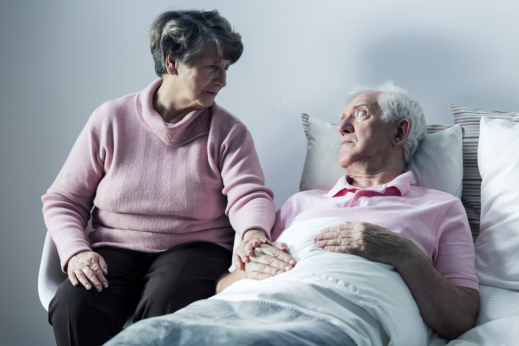 With consideration to comfort and family agreement, hospice care can be given in either of the two options, just as long as it provides a comprehensive kind of care to handle the aging client’s condition. You might think that an Inpatient hospice provider only serves the elderly, but it actually includes their families in their support and services since any health status of their loved one, be it good or bad, can affect their family members. Our company helps in educating families and what the possible outcomes are in the future for their senior loved one. Being there for them through this tough time can help soften the impact on family members and help them get ready for any possible circumstance in the future. Hospice centers do not only serve senior patients because families also get included in the journey for family bonds are never broken. If you wish to give your senior loved one a healthy hospice care environment, please call Life’s Journey of Avon so we can talk about your hospice care options at 317-316-3937. This entry was posted in Hospice Home and tagged aging elderly, Facility Hospice, hospice care, hospice providers. Bookmark the permalink.